In an attempt to capitalize on the huge opportunity in the embedded systems market, and the dominance of the Java programming platform, Oracle has unwrapped a new set of offerings facilitating the design of applications across a wide range of embedded systems. These systems include network appliances, healthcare devices, home gateways and routers, and large multifunction printers. The company unveiled a pair of offerings as part of its embedded systems push: Oracle Java Embedded Suite 7.0, which aims to speed development of embedded systems; and Oracle Java Micro Edition (ME) Embedded 3.2, a run-time version geared for microcontrollers with less than a megabyte of memory, and as little as 130K bytes of RAM and 350K bytes of ROM. Oracle Java ME Embedded provides a commercial, binary implementation of Java for small-footprint devices, based on ARM v5, ARM v6, and ARM v7 design chipsets. “M2M is touted as the next big wave of technical innovation,” Peter Utzschneider, Oracle’s vice president of product management, told us. He said Java is the perfect programming solution to propel this trend, given the huge numbers of entrenched developers, and the fact that Java code is transportable between an array of devices. To address the new demands of the emerging market, Oracle Java Embedded Suite 7.0 bundles a Web server, Web services, and database technologies, along with an applications framework, into a standards-based solution optimized for embedded devices. Specifically, the bundle is based on the Oracle Java Platform Standard Edition (Java SE) Embedded 7, Java DB, versions of GlassFish for Embedded Suite, and the Jersey Web Services Framework (optimized for a reduced footprint). Oracle Java ME Embedded 3.2 is designed and optimized to meet the unique requirements of small, embedded, low-power devices like microcontrollers, sensors, and other resource-constrained hardware without screens or user interfaces. 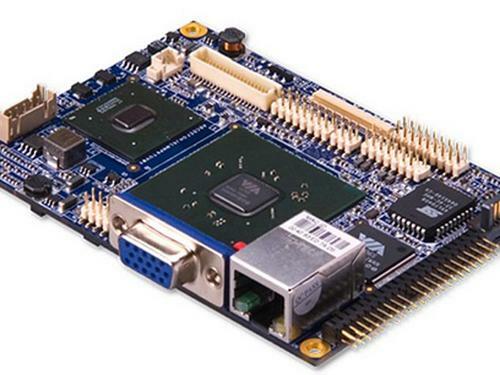 With support for on-the-fly application downloads and updates, remote operation in challenging environments, and the ability to add new capabilities without impacting existing functions, Oracle Java ME Embedded 3.2 brings a commercial implementation of the programming language for small-footprint devices based on the ARM architecture, including Cortex-M and Cortex-A. Target applications include wireless modules for M2M, industrial and building control, smart grid infrastructure, home automation, and environmental sensors.